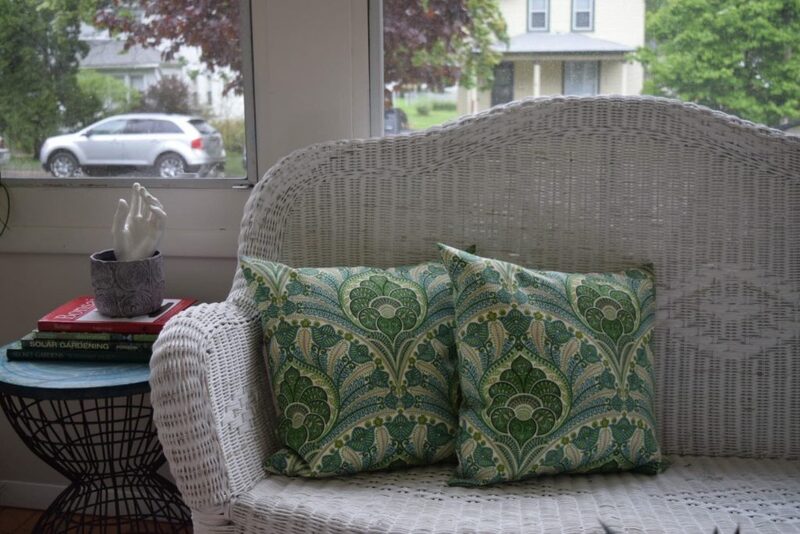 I enjoy teaching apparel sewing and quilting workshops here in my home town of Madison, Wisconsin. My goal is to travel and inspire others to create! Need a motivational public speaker for your large group? Email me for current rates and availability: info@chambrayblues.com. 1. Basic Sewing Skills: Students learn basic sewing terminology and techniques, how to wind a bobbin, thread their machine, cut fabric, straight stitch, pivot corners, and slip stitch an opening closed. Class runs 1 1/2-2 hours. Sewing Level: Beginner. 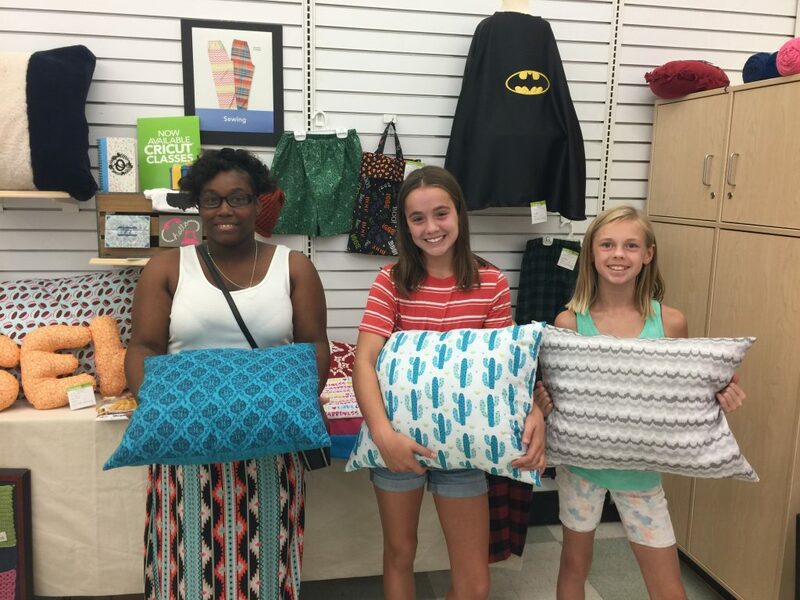 Proud students with their finished sewing projects! 2. How to Make Unisex Pajama Pants: Students learn how to choose a pattern, read a pattern book and pattern envelope, measure for correct fit, layout and cut a commercial pattern, straight stitch, make a casing for elastic and hem their pajama pants. Class is 2 hours long. Sewing Level: Beginner. Beginning Quilting: Students learn basic quilting terminology and techniques. Including how to cut pieces with a rotary cutter and mat, how to match patterns, sew and assemble quilt blocks. 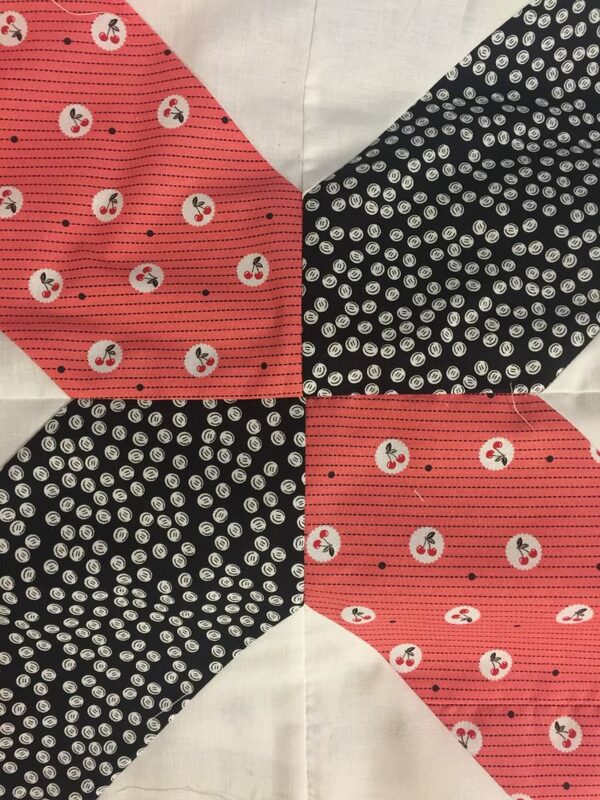 Students will “sandwich” their quilt batting between quilt top and bottom, stitch in the ditch quilt, and finish their wall hanging with quilt binding. About 3 hours total time, or two 1 1/2 hour sessions. Sewing level: Intermediate. 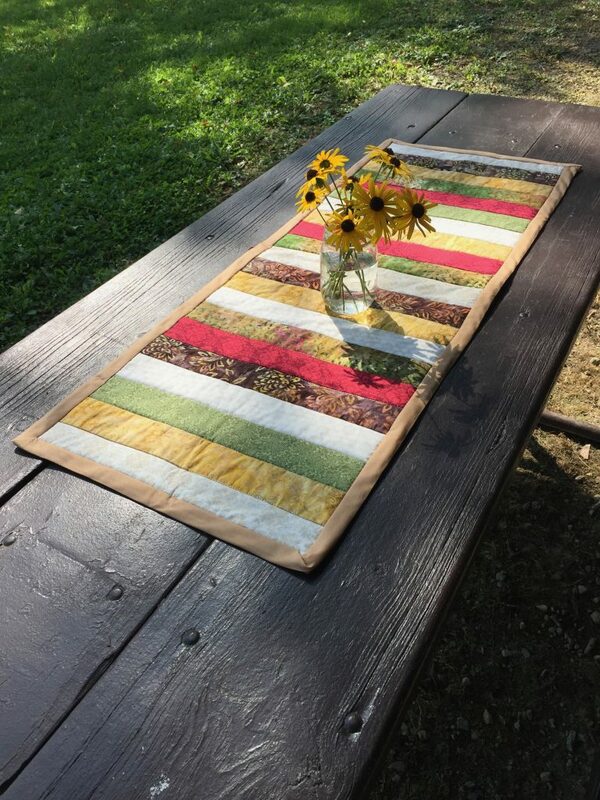 Quilted Table Runner is made with Fat Quarter pieces. Quilted Table Runner Class: Students learn to make a simple quilted table runner from fat quarter pieces. Techniques taught include cutting with a rotary cutter and mat, “sandwiching” layers together, quilt stitch in the ditch, and hand finishing with whip stitching. Class runs approximately 2 hours. Sewing level: Intermediate. Advanced classes are available for apparel sewing, draping, drafting, and alterations. Custom class topics may also be requested to fit your audience. Please inquire by email info@chambrayblues.com for availability.